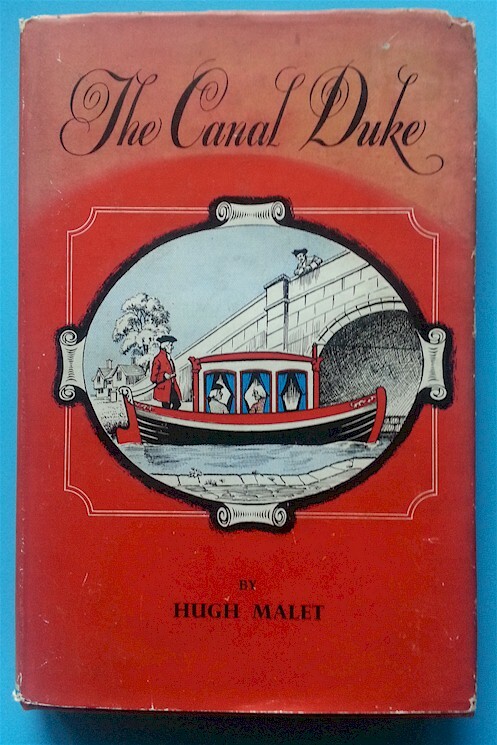 I have been reading a rather splendid book about the Canal Duke which I thought I would share with you. Being that Francis Egerton is the man credited with starting the Canal Mania on the late 18th Century, I thought I better gen up on him and his life, even though my forthcoming production isn’t really about his canal. The third Duke of Egerton, by all accounts, was unlikely to live very long. His brothers and sisters died young, many did before they were in double figures. He was a sickly child and very shy. To cure this, Francis was sent on The Grand Tour to see the ways of the world. He was away for three years and saw many things. It was during this time that he began to collect items, fine painting, pottery and exotic works of art. He also was fascinated with the waterways and navigations in France and Italy. When he returned to England to his numerous estates he was a changed man. He became a dandy and spent many an hour at gambling clubs. It was fine for him to loose money, he had inherited plenty. But then one day he fell in love with a lady that the whole of England had equally become besotted with. He wooed her and they were to be married, then suddenly she changed her mind and Francis was a jilted man. This was the catalyst that motivated him to change his ways and propelled him into business pursuits. He had coal mines on his estate in Worsely in Lancashire. His agent and mining consultant, John Gilbert, had found a way to empty the mine of water so that he could dig further down and get a much larger quantity of coal out. However, there was another problem. It was extremely expensive to transport the heavy coal to market in Manchester, only 7 miles away. The traditional route was via packhorse, which was slow and required many trips to get a reasonable amount of the black gold to the city. The other option was to send it via boat along the river navigation along the Mersey and Irwell. These presented problems of its own. The company that ran it held the monopoly and were expensive and the rivers were tidal and subject to delays. The one day, the Duke had a brainwave. He would cut his own channel to Manchester. He would build a canal. This was not a completely new idea, for the Duke was familiar with the waterways in France and Europe. There had been attempts at similar projects in England, but nothing to write home about and all that had been attempted were either associated with rivers or ran parallel to one. The one thing people need in a canal is water and this was going to be an issue when crossing the country away from the rivers and hills. John Gilbert had solved this problem, however. There was plenty of water in the mines and by digging small tunnels, or soughs as they are called, not only would the mines be drained, but water would supply the proposed canal. All Francis needed now was a canal expert. Fortunately, Gilbert new a man, James Brindley, who was a millwright. The three of them plotted and planned and together, with the genius of Brindley’s knowledge of surveying water, the canal was built. It wasn’t without it’s problems and financial needs. In fact, these were immense and plagued the Duke most of his life. But it was his tenacity I greatly admire; the sticking to his guns when all were laughing at him and telling him that it would never work. It did and the canal mania started, just at the right time. Without it there would not have been an Industrial Revolution in England. Without the transport network to carry the huge amounts of raw materials and finished products to and from the factories, this country would have missed a trick and have been left behind. But we led the way and we should all be proud. By pushing ahead with the first, of several canals and extensions, we certainly owe the Duke of Bridgewater a lot. I salute him.